These are fun and entertaining small animals to keep as pets. They are very active, and spirit rodents but they also sleep a lot. Keep them in their cages and enjoy their playful nature as they engage in acrobatics. With hamster, you don’t need to two of them since they happy living alone. Dwarf hamster is the best breeds of hamsters that you can go for. 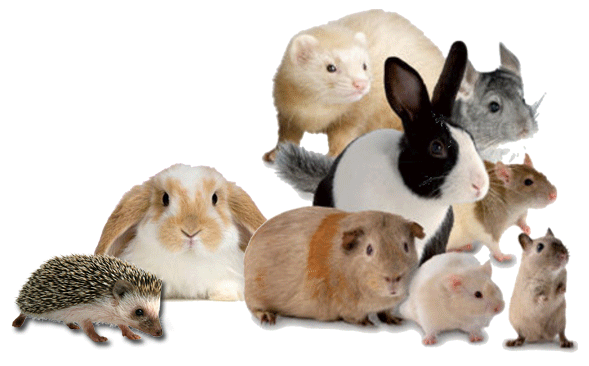 These are super intelligent, interesting and happy small animals to keep as pets. If housed and handled careful, chinchillas make perfect pets for children. The fact that they can be trained or taught to do tricks just like dogs, gets them to the list of popular small pets. They are also known for having a long life span that can extend to 15 years. Chinchillas also require a companion, and thus you need to bring them a female or male for a companion. These are gentle pets, particularly for children. One thing with rabbits is their playful nature, and they are known for running around the house once outside their cage. They share some qualities with dogs such as coming when called. They can also learn how to use a litter box. If well maintained, rabbits can have a lifespan of six to eight years. These burrowing pets are great fun to watch. They spend most of their time digging just for pleasure, and this makes very captivating pets. They very agile thus making it very hard to hold and thus they are general pets to watch rather than handling. They are the best pets for children who children who want to hold their pet. These pets are great companions for both adults and kids. They are intelligent and fun to watch pets. One thing that you need to learn about these pets is their changes in moods – they are either excited, angry, happy or sad. They are very gentle by nature and makes a good companion for children. Guinea pigs get lonely, and thus it is vital to have their own for the company. These are the most popular small pets. There are many others including rats, mice, ferret, hermit crabs, love birds and a box turtle. All that these pets require is proper care, and they will make you children’s life fun and exciting.